WHAT TO EXPECT: Get ready for a night of Latin sizzle and spice as Pollywood goes Latino with Jimmy Smits, Esai Morales, Merel Julia, David Archuleta, Rita Moreno, Felix Sanchez and other stars. 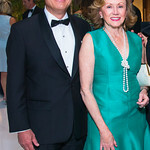 DATE: Tuesday, September 13; 6:30 p.m.
WHAT TO EXPECT: The 33rd annual ball will raise funds for the National Multiple Sclerosis Society and traditionally hosts the diplomatic corps, congressional leaders and other distinguished guests who enjoy an international-themed silent auction, superb cuisine and dancing. DATE: Wednesday, September 14; 6:30 p.m.
WHAT TO EXPECT: NPR’s Diane Rehm will conduct a special “conversational interview” with CNN’s Wolf Blitzer, and will pay tribute to Morton Kondracke, PAN’s founding board member and the dinner co-chairman. Udall Award recipients will also be honored. DATE: Wednesday, September 14; 6 p.m. CONTACT: Julie Lombard, 202-600- 4176, jlombard@arenastage.org. WHAT TO EXPECT: Enjoy cocktails, hors d’oeuvres, a seated dinner and dancing throughout the night to raise funds for Second Chance Employment Services’ programs providing free employment placement and training services for at-risk women in the Washington, D.C. area. DATE: Thursday, September 15; 6:30 p.m. 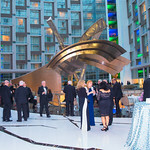 LOCATION: The Four Seasons, Washington, D.C.
WHAT TO EXPECT: The nation’s largest lung cancer nonprofit focuses on research to end the disease. The evening includes a cocktail reception, dinner, music and dancing. DATE: Friday, September 16; 7 p.m.
WHAT TO EXPECT: Patrons get to experience the theater from a backstage perspective, with opportunities to explore the scene shop, enjoy cocktails in the Small-Alper Green Room and congregate with actors in the costume shop before dinner is served on the main stage. DATE: Saturday, September 17; 6:30 p.m.
WHAT TO EXPECT: A celebration of Wolf Trap’s 40 years on the Filene Center stage, taking guests on a nostalgic journey back to Wolf Trap’s early years to showcase its continued legacy as a place where culture and community take center stage. DATE: Saturday, September 17; 7 p.m.
WHAT TO EXPECT: The event supports 11 nonprofit groups with programs benefiting the residents of Anacostia, including Building Bridges Across The River and the Boys & Girls Clubs of Greater Washington. WHAT TO EXPECT: Heroes Curing Childhood Cancer is the signature fundraiser to support continued research at Children’s National Medical Center. Organized by volunteers, the event has raised nearly $500,000 to help fund research efforts to cure cancer in the past. LOCATION: The Fairmont, Washington, D.C.
PRICE: Individual tickets are $250, and sponsorship packages are available. WHAT TO EXPECT: The event honoring Highly Effective Educators of D.C. Public Schools will feature a special performance from Grammy Award winning artist John Legend. DATE: Monday, September 19; 6:30 p.m. 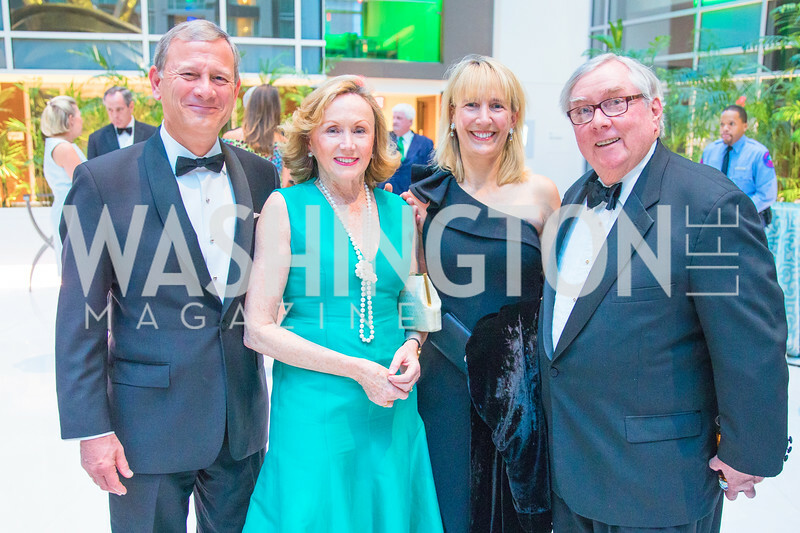 EVENT CHAIRMEN: Katherine Bradley, Debra Lee, David Rubenstein and George Stevens, Jr.
WHAT TO EXPECT: Join patrons of the Children’s Law Center as they celebrate the ninth annual Helping Children Soar benefit. CLC is the largest legal services provider in the District of Columbia, directly assisting over 1,000 children each year. DATE: Wednesday, September 21; 6 p.m.
WHAT TO EXPECT: The NSO marks its 80th anniversary with this gala event led by Music Director Christoph Eschenbach with guest violinist Joshua Bell on a program to include works by Dvorák, Bruch, Smetana and Ravel as well as a film celebrating this milestone. Dinner and dancing follow the performance. DATE: Sunday, September 25; 7 p.m.
WHAT TO EXPECT: Readings by noted authors including Amy Dickinson, Jeanna Wakatsuki Houston and Ken Ludwig will be preceded by cocktails and followed by a seated dinner. Calvin Trillin of The New Yorker serves as master of ceremonies. DATE: Monday, September 26; 6:30 p.m.
WHAT TO EXPECT: The event benefits anti-human trafficking efforts throughout the world and is sponsored by the Innocents at Risk – Sky Angels Coalition. DATE: Tuesday, September 27; 7 p.m.
WHAT TO EXPECT: The event will transform the grand headquarters of the U.S. Chamber of Commerce into a glamorous 1920s speakeasy to celebrate Septime Webre’s adaptation of “The Great Gatsby.” Guests will be treated to a live and silent auction, prohibition cocktails, cuisine and entertainment. DATE: Friday, September 30; 7 p.m.
WHAT TO EXPECT: This gathering of over 3,000 people is the single largest annual fundraiser for the Human Rights Campaign, raising money to support and advocate for the LGBT community. DATE: Saturday, October 1; 5:30 p.m.
WHAT TO EXPECT: The area’s top private equity professionals enjoy food, fun and gaming to support the District’s children in need. Sponsored by Capital for Children, support will bring hope and resources to kids who are waiting for their lucky break. DATE: Saturday, October 1; 7:30 p.m.
WHAT TO EXPECT: Join members of Congress as they honor this year’s Angels in Adoption. National Angel in Adoption honorees are NFL star Scott Fujita and actress/screenwriter Nia Vardalos. DATE: Wednesday, October 5; 6 p.m.
WHAT TO EXPECT: This star-studded event is set to feature well-known entertainers from USO celebrity entertainment tours. Special volunteers and honorees from each branch of the armed forces will also be honored for their extraordinary bravery, loyalty and heroism. WHAT TO EXPECT: Since opening in 1990, more than 10,000 seriously ill children and their families have stayed at The Children’s Inn. This year, the Inn is embarking on a $1.5 million Kitchen and Dining Room Renovation Initiative. DATE: Wednesday, October 12; 6:30 p.m.
HIGHER ACHIEVEMENT’S 2011 GOING PLACES! WHAT TO EXPECT: The fourth annual gala celebrates over 35 years of dedication and commitment by Higher Achievement scholars, staff and champions. The evening will feature a performance by the organization’s scholars, followed by a cocktail reception, buffet dinner and dancing. DATE: Thursday, October 13; 6:30 p.m.
WHAT TO EXPECT: Cocktails, heavy hors d’oeuvres and special musical entertainment will be featured at this exclusive event to raise funds for the protection of the Potomac River watershed. Environmental activist and philanthropist Simon Sidamon-Eristoff will be honored. 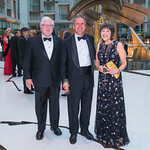 LOCATION: Walter and Patricia Moore Residence, McLean, Va.
WHAT TO EXPECT: One of Washington’s most distinguished events, the ball is widely attended by diplomats, members of the Cabinet, Congress and the international business community. 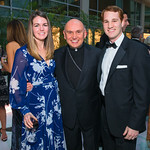 WHAT TO EXPECT: This year’s Dream Ball benefits Live It Learn It and ThanksUSA to create positive change in the community and unite corporate leaders, donors and volunteers to help break the cycle of poverty. DATE: Saturday, October 15; 6 p.m.
WHAT TO EXPECT: This event celebrates Michael Kahn’s 25 years with the Shakespeare Theatre Company and benefits the Free For All at Sidney Harman Hall and the artistic programs of the Shakespeare Theatre Company. DATE: Monday, October 17; 6 p.m.
WHAT TO EXPECT: The nonprofit advocacy group’s 40th anniversary gala promises to be a special evening celebrating Public Citizen’s history of serving as the people’s lobbyists, and fighting for health, safety, democracy and justice. Featured attendees include actor Alec Baldwin and Public Citizen’s founders. WHAT TO EXPECT: The March of Dimes celebrates women leaders in technology who exemplify volunteer service in the community. Festivities include a cocktail reception, dinner and live and silent auctions. DATE: Friday, October 21; 6 p.m.
WHAT TO EXPECT: Hosted by the Corcoran Contemporaries, this benefit brings contemporary art lovers together for an evening of fun and art to benefit NOW at the Corcoran. Dance to the tunes of DJ Spooky, while enjoying specialty drinks and a dessert buffet. DATE: Friday, October 21; 8 p.m.
PRICE: $100 until Sept. 19; $150 thereafter. Sponsorships start at $2,500. WHAT TO EXPECT: Don’t miss this elegant dinner dance to support organizations that assist people suffering from cancer, including Life with Cancer and the Smith Center for Healing and the Arts. WHAT TO EXPECT: Enjoy a festive evening of socializing, auction bidding and live entertainment by Kool & The Gang. The “Commitment to Excellence” Awards will be presented to those who have shown extraordinary leadership and dedication to improve the health of the community through excellence in patient care, education and research. WHAT TO EXPECT: This year’s prize honors comedian Bill Cosby with a performance featuring the biggest names in comedy. 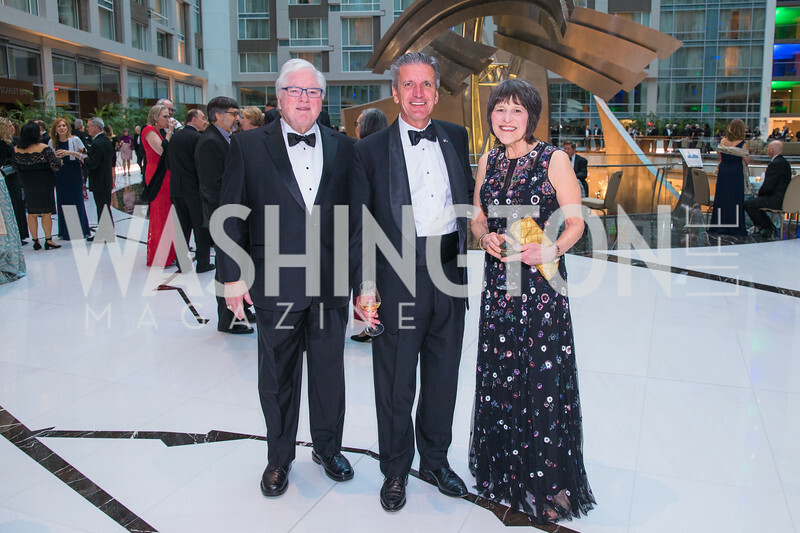 The evening begins with dinner at the Roof Terrace of the Kennedy Center and concludes with a fun-filled after-party. DATE: Sunday, October 23; 7 p.m.
WHAT TO EXPECT: This 12th annual event showcases the talents of Boys & Girls Clubs of Greater Washington (BGCGW) members. 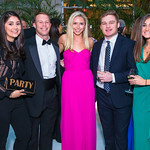 Cocktails and silent auction, dinner and a live auction are followed by a performance on the Kennedy Center Millennium Stage) by five winners of the BGCGW Talent Search selected after months of competitions at local and regional levels. Expect original works created by BGCGW aspiring artists and winners of the ICON Visual Arts Competition. DATE: Wednesday, October 26; 6 p.m. LOCATION: The Four Seasons Hotel, Washington, D.C.
WHAT TO EXPECT: D.C. Vote’s annual Champions of Democracy awards dinner celebrates local and national leaders for democracy and D.C. voting rights. This year, it honors Maudine Cooper, president and CEO of the Greater Washington Urban League, and Walter Smith, executive director of DC Appleseed. DATE: Wednesday, October 26; 6:30 p.m.
WHAT TO EXPECT: Patrons will enjoy dinner and live music while raising funds to support treatment and care programs, cutting-edge research, and general marketing awareness campaigns. Honored guests include D.C. Delegate Eleanor Holmes Norton and Dr. John Marshall. DATE: Wednesday, October 26; 7:30 p.m.
WHAT TO EXPECT: A spectacular evening to honor special champions of the Washington metropolitan area theater community. Support the year-round efforts of the newly named TheatreWashington with silent and live auctions, a three-course dinner and show tunes by pianist Glenn Pearson. DATE: Friday, October 28; 6:30 p.m. 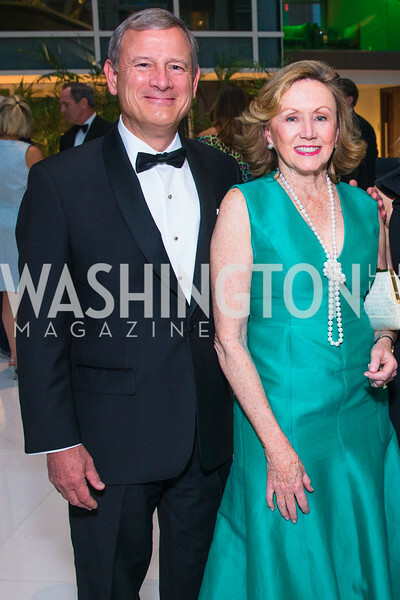 LOCATION: Four Seasons Hotel, Washington, D.C.
WHAT TO EXPECT: This event, benefiting Susan G. Komen for the Cure, will bring together the heroes of the breast cancer movement for an evening of inspiration, world-class entertainment and awards of distinction. The evening will celebrate the survivors and supporters who share in the promise Nancy G. Brinker made to her dying sister, Susan G. Komen, to end breast cancer forever. 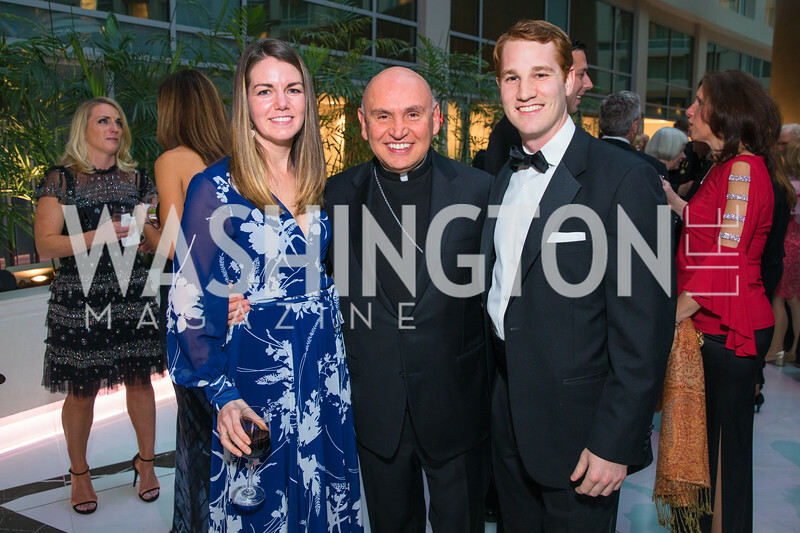 DATE: Friday, October 28; 8 p.m.
WHAT TO EXPECT: More than 3,000 guests from the U.S. and Italy are expected to attend the 36th Anniversary Gala, the most prestigious Italian American event in the nation’s capital. Television anchor Maria Bartiromo will serve as mistress of ceremonies, while other celebrity guests include President of Italy Giorgio Napolitano, House Minority Leader Nancy Pelosi, Frankie Avalon, Giuliana DePandi-Rancic and Joe Pantoliano. DATE: Saturday, October 29; 6 p.m.
WHAT TO EXPECT: In honor of Sibley Memorial Hospital’s rich history, the 11th annual gala returns to the Sibley campus. 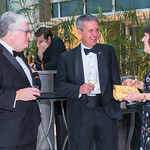 The evening will begin with a festive cocktail reception in the new Medical Building followed by a formal dinner under the stars. DATE: Saturday, October 29; 7 p.m.
WHAT TO EXPECT: Hosted by the honorary gala chairmen, Luxembourg Amb. Jean-Paul Senninger and Mrs. Louise Åkerblom, the event will include a buffet dinner, live and silent auctions and the presentation of the Lolo Sarnoff Award to Dr. Dorothy Kosinski. A champagne reception for sponsors precedes the festivities. 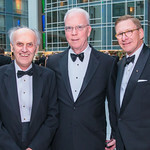 DATE: Tuesday, November 1; 6:30 p.m.
WHAT TO EXPECT: The 8th annual Records of Achievement Award will be presented to philanthropist David M. Rubenstein, whose generous loan of the Magna Carta to the National Archives has allowed millions of visitors to view the landmark British document that inspired the Founding Fathers to write the Declaration of Independence, the U.S. Constitution and the Bill of Rights. WHAT TO EXPECT: The 25th annual celebration features an extensive silent auction and cocktail reception, a raffle of a 2011 Lexus CT Hybrid, dinner and dancing. Proceeds benefit cancer research and treatment at Georgetown University’s Lombardi Cancer Center. DATE: Saturday, November 5; 6 p.m.
WHAT TO EXPECT: Join Capital Caring, formerly Capital Hospice, to raise funds in support of its new inpatient center in Loudoun County. These funds are critical to the hospice, which in 2010 funded $1. 5 million in charity care. DATE: Saturday, November 5; 6:30 p.m.
WHAT TO EXPECT: La Maison Française at the Embassy of France hosts an elegant gala featuring France’s legendary Champagne houses. Gourmet delights from the finest restaurants in the nation’s capital will be served along with oceans of bubbly. DATE: Saturday, November 5; 7 p.m.
WHAT TO EXPECT: NPR’s Mara Liasson emcee’s this year’s event, which honors Israeli Amb. Michael Oren and famed consumer advocate Erin Brockovich. The night begins with cocktails followed by dinner and the awards ceremony, and concludes with dancing. This inspirational event raises awareness and support for The Lab School, which educates children and adults with learning disabilities. DATE: Wednesday, November 9; 6 p.m.
WHAT TO EXPECT: Now in its 20th year, Fight Night brings together over 2,000 prominent business, sports and media figures to raise funds for Fight for Children and other organizations that provide education and health care services to low-income children in Washington. Fight Night features great food and drinks, professional boxing bouts and other entertainment. DATE: Thursday, November 10; 6 p.m.
WHAT TO EXPECT: While the guys are at Fight Night, the gals will be settling in for an exciting evening of dinner, dancing and entertainment to support the group’s beneficiaries, including Bethany House, Crossway Community, Safe Shores, and The DC Volunteer Lawyers Project. LOCATION: The Ritz-Carlton, Washington, D.C.
WHAT TO EXPECT: Enjoy a night of fun with live music and a silent auction to benefit Luke’s Wings, an organization that provides complimentary airfare for wounded warriors and the families of wounded warriors recovering at military hospitals throughout the country. DATE: Friday, November 11; 8:30 p.m.
WHAT TO EXPECT: The presentation of the 2011 National Alliance on Mental Illness will present its Scientific Research Award to actor and former NFL running back Ed Marinaro at the annual celebration benefiting NAMI’s education programs. DATE: Wednesday, November 16; 6:30 p.m.
WHAT TO EXPECT: Join more than 1,000 Washington leaders as well as kidney patients and their families for cocktails, dinner, silent and live auctions, dancing and entertainment by KC & the Sunshine Band. Proceeds benefit ongoing programs in medical research and organ donation awareness. DATE: Saturday, November 19; 6:30 p.m.
WHAT TO EXPECT: Help raise money and awareness to fight human trafficking and modern day slavery at this annual ball. Proceeds benefit Innocents at Risk, Polaris Project and The Emancipation Network. 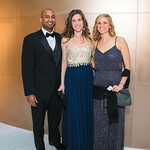 WHAT TO EXPECT: Starlight MidAtlantic’s annual Taste of the Stars Gala is an intimate, premier fundraiser featuring cocktails, a gourmet dinner, dancing, and live and silent auctions dedicated to using technology to “put a smile on the face” of childhood illness. 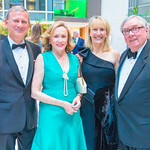 WHAT TO EXPECT: This year’s gala begins with a cocktail reception and silent auction and will be followed by a seated dinner with a presentation of SOME’s annual McKenna Humanitarian of the Year award to Liz and Tom Donohue. Proceeds benefit the poor and homeless in the District. DATE: Friday, December 2; 6 p.m.
WHAT TO EXPECT: A quintessential Washington tradition, the Tea Party is a delight for ballet lovers of all ages. In addition to holiday entertainment, an elegant tea with white glove service will be featured along with a holiday buffet. Guests will have the opportunity to meet TWB’s dancers and pose for photos with “The Nutcracker” cast. DATE: Sunday, December 11; 1 p.m. performance, Tea Party immediately following. WHAT TO EXPECT: This year’s concert and benefit will allow guests to experience the majesty of a glorious Russian holiday. Beginning with a festive concert featuring a mix of Russian carols, beloved sing-alongs and popular holiday standards, the evening continues with delectable Russian fare, a sampling of top-shelf vodkas, a silent auction with vacations, jewelry, embassy access, and more. 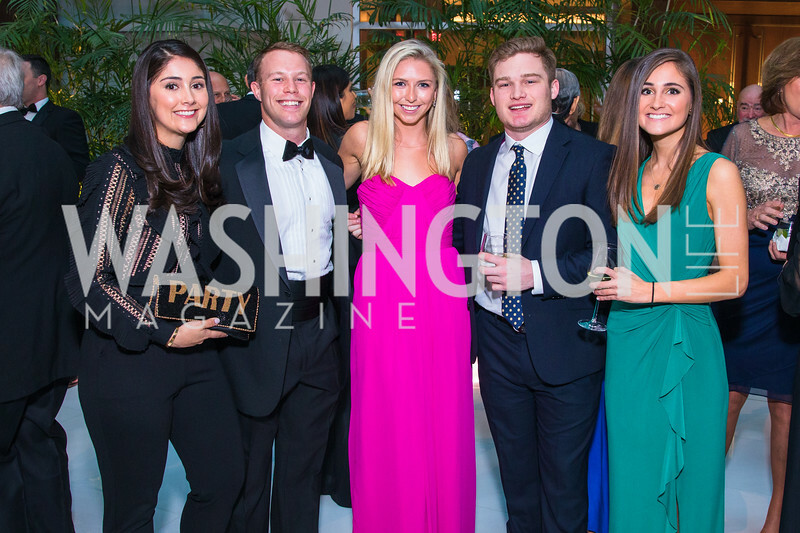 DATE: Monday, December 19; 7 p.m.
WHAT TO EXPECT: The Children’s National Junior Council’s 5th annual gala for young Washington philanthropists features cocktails, dessert, dancing and a silent auction to benefit the hospital’s work throughout the year. WHAT TO EXPECT: Enjoy a thrilling opening night performance followed by dinner and dancing in the Kennedy Center’s South Gallery and Roof Terrace. Proceeds support the company’s Washington, D.C. outreach programs and provide scholarships to talented young dance students in the Washington area at the Ailey School in New York. 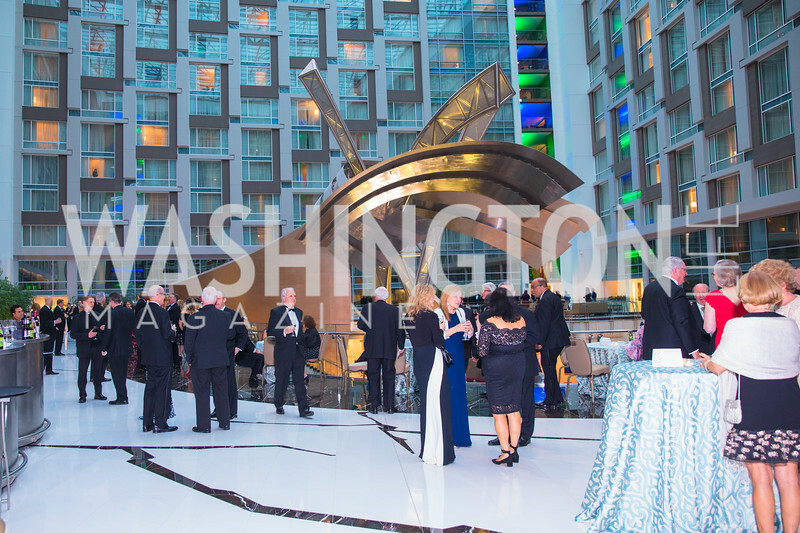 WHAT TO EXPECT: Mingle with Washington’s elite and experience an exclusive opportunity to taste some of the area’s finest restaurant cuisine. In addition, many one-of-a-kind auction items are up for bid. Proceeds help children suffering from life-threatening illnesses. WHAT TO EXPECT: Celebrate with music, cocktails and hors d’oeuvres from around the Latin world at this festive annual gathering, which also includes silent and live auctions and the signature Ambassadorial Dinner. WHAT TO EXPECT: During this annual month-long fundraiser, hosted by the Corcoran gallery of Art’s 1869 Society, local restaurants and lounges take inspiration from the museum’s collection and compete to create the most artistic martini. The month culminates in a festive evening at the Corcoran; proceeds benefit ArtReach, the Corcoran’s arts education program. 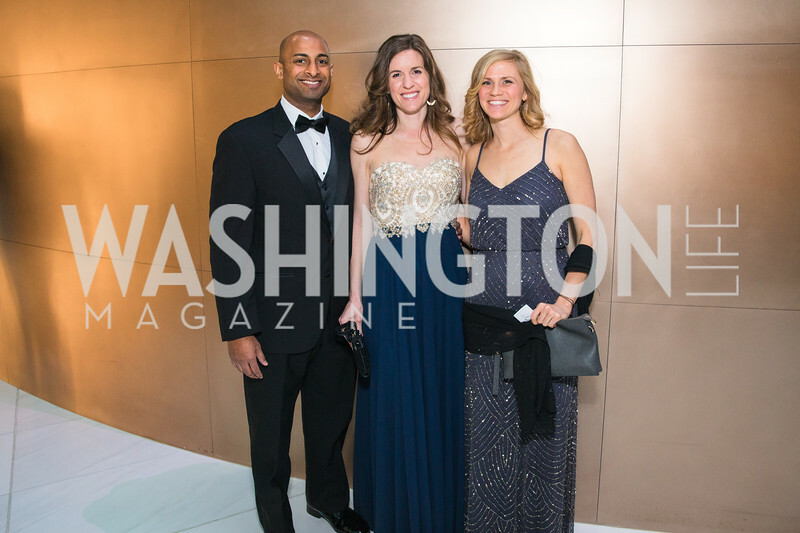 WHAT TO EXPECT: Join 2,000 guests at this popular annual event which has raised more than $42 million for the National Capital Area Chapter of the Leukemia & Lymphoma Society and the fight against blood cancer. This year’s 25th anniversary ball features star-studded comedic and musical performances, a Mercedes Benz raffle and a silent auction with over 400 items. WHAT TO EXPECT: School Night raises much-needed funds to help Fight For Children improve education for children in the Washington, D.C. area. This year’s fundraiser promises to be a fun-filled evening of non-stop entertainment, auctions and dancing for a good cause. WHAT TO EXPECT: This special evening at the country’s first dedicated art museum invites guests to enjoy a multi-course dinner and dancing in spectacularly appointed galleries designed by Jack Lucky Floral Designs. Guests get to mix and mingle amid artworks, including those created by students in the NEXT exhibition. DATE: Friday, April 20; 7 p.m.
WHAT TO EXPECT: The March of Dimes Gourmet Gala is an annual fundraising dinnerwith a uniquely Capitol Hill flavor. Members of Congress serve as celebrity chefs who participate in a competitive cook-off prior to the seated dinner. They compete for six awards including Best in Show. Local chefs serve as judges. WHAT TO EXPECT: The Washington Ballet’s 2012 Spring gala will transport guests down the rabbit hole into Alice’s “Wonderland,” in celebration of the company’s world premiere of Septime Webre’s ballet “ALICE” (in wonderland, of course). DATE: Thursday, April 26; 7 p.m.
WHAT TO EXPECT: Celebrating a milestone both for the museum and for women in the arts, this black-tie affair begins with an auction, cocktails and a viewing of the featured exhibition: “Royalists to Romantics: Women Artists from the Louvre, Versailles, and Other French National Collections.” Guests then move to the elegant Great Hall for dinner and dancing. WHAT TO EXPECT: This perennially sold-out event includes Washington insiders, members of Congress and media personalities who take the stage to perform scenes from Shakespeare infused with comedic references to contemporary politics. 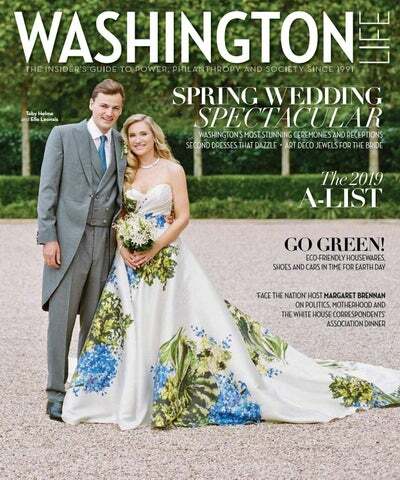 WHAT TO EXPECT: Over 650 of Washington’s most influential civic and social leaders will gather for a formal luncheon in a vast tent to support the restoration and improvement of the National Mall. Last year’s event raised $1 million. WHAT TO EXPECT: This spectacular event features dining amid the Phillips’ priceless masterpieces and post-dinner dancing in the stunning ballroom of neighboring Anderson House. Proceeds support the gallery’s educational programs serving over 90,000 local children, teachers and families each year. WHAT TO EXPECT: The best view in town, the most important parkland in the country and the nation’s leading young professionals are an integral part of this fun-filled annual event. 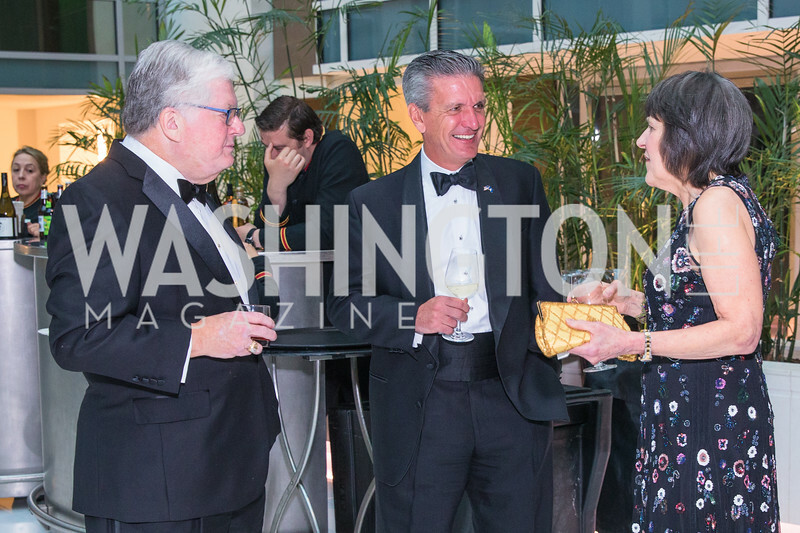 The sponsoring L’Enfant Society raises awareness and funds for the restoration and improvement of the National Mall and efforts to make it the most majestic public space in the world. DATE: Saturday May 5; 6 p.m.
WHAT TO EXPECT: About 750 guests are expected to attend this inspirational evening to support the Children’s National Medical Center’s efforts to provide the best treatment possible for its young patients. Expect dinner, a live auction, dancing to both a live orchestra and DJ, and an after-hours lounge and dance party. PRICE: Starting at $500; Sponsorship packages also available. WHAT TO EXPECT: Step into spring with your best garden party attire at this annual garden party. There is always fierce competition to win prizes for the best ladies’ and gentlemen’s hat. DATE: Wednesday, May 16; 6:30 p.m.
WHAT TO EXPECT: This inspirational event honors remarkable women leaders from around the world. The evening– attended each year by founder and Secretary of State Hillary Rodham Clinton – encourages women to propel the cause for peace and prosperity in their communities. 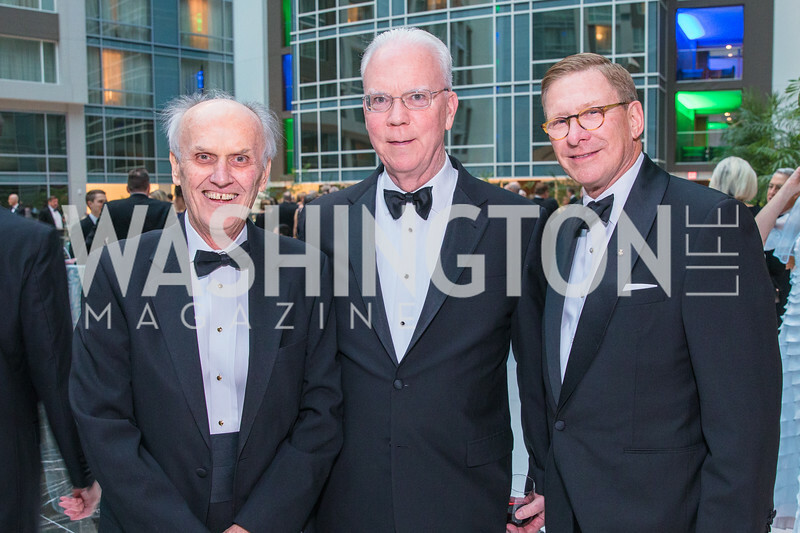 WHAT TO EXPECT: Always a highlight of Washington’s social year, Washington National Opera’s annual celebration marks the conclusion of the renowned company’s performance season. This year’s ball is slated to be held in early June, though full details had not been finalized at press time. Previous story Get Out and Give Back: What will you do on 9/11? WL Feature: Was the Secret Service warned about the Salahis?